We've added to the original Stone Cottage prints--check out these greens and blues--they're such wonderful blenders! They're the perfect coordinates for Thomas Kinkade's new Inspiration for Living collection. 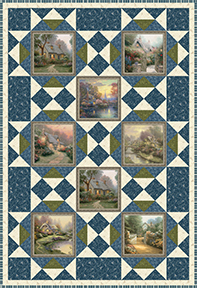 Click here to see the Stone Cottage 2 collection. 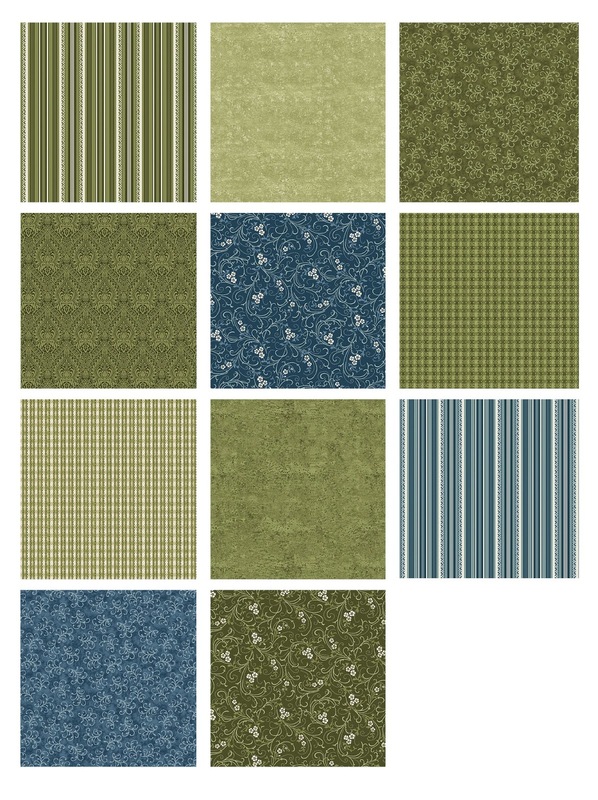 Click here to see the Inspiration for Living collection. Click here to see the original Stone Cottage coordinates (cream, red, and navy!). Love those colors !! Merry Christmas from Montana.